Maureen Taylor will be conducting a Photo Detective Roadshow style presentation, during which she will examine photos submitted by NHG members who hope to discover clues that will help them in their research. Full details are available HERE. We are now using the Northland Library's meeting registration system. Simply click HERE to register for attending the meeting in person. PLEASE BE SURE TO CLICK THE GREEN "SEND" BUTTON TO COMPLETE THE REGISTRATION! You will receive an email confirmation. NHG In The News - KDKA "Pittsburgh Live"
Watch Rich Venezia and our 2019 conference speaker Blaine Bettinger on KDKA's Pittsburgh Today Live! Click on "In The News" on the left menu to view or listen to past interviews. 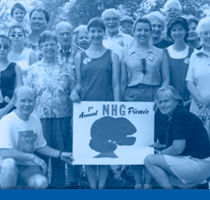 NHG has organized geographic Special Interest Groups for: British Isles, Eastern Europe, and Pennsylvania. We also have Interest Groups focused on Writing Your Family Story, and on DNA & Genetic Genealogy. Please click on Special Interest Groups along the left of this page for details and meeting times and locations. These groups meet outside of the regular North Hills Genealogists meetings, and focus on their specific areas of interest. Listen to Sean McDowell interview Amy Arner and Ray Jones on WDVE's Sunday morning public interest program! They will talk about NHG, genetic genealogy, and research tips. Click HERE to see other NHG In The News programs. Be sure to visit the "Member's Only Download" area when you login - the 2018 edition of the Genealogical Beginner's Packet is now available for download by all NHG members. North Hills Genealogists is pleased to provide this series of training from Hi-Def Genealogy as a no-charge benifit to its members. 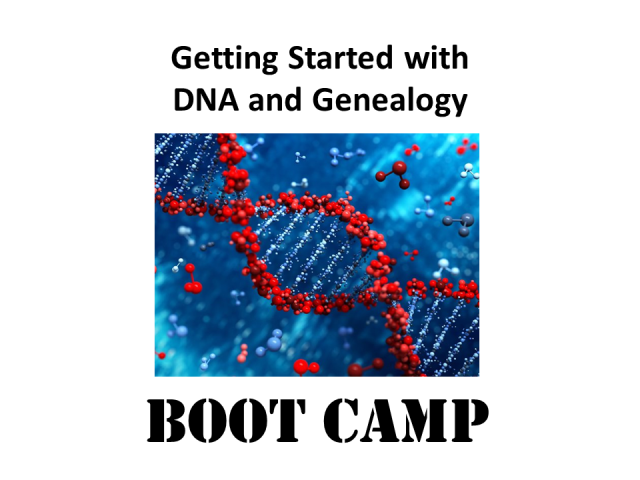 Presented by Mary Eberle and produced by Thomas MacEntee, we believe that you will find this instruction useful and informative in learning the details of Genetic Genealogy and using DNA tests as part of your family history research. These videos can be watched at any time, as often as you like. For more details click HERE. monthly newsletter and discounts on our annual conferences. If you have New England ancestors then the resources available from AmericanAncestors.org are invaluable. Visitors to Northland Public Library now have access to these databases and other holdings of the New England Historical and Genealogical Society, along with the many other genealogy databases already available. You can use the Northland computers, or bring your own and connect via their WiFi. A new feature in our "LINKS" section is Member Suggested Websites. These are links shared by NHG members. These are websites that members have found to be helpful in their family research. Cards are available at the monthly NHG meetings for submitting sites to be added to this part of our website. Click HERE to go directly to these links. Click HERE to view information on Northland's genealogy collection. For future meetings, the group will be considering road trips to cemeteries, historical societies and libraries. More details on this group are available at PENNSYLVANIA SIG.